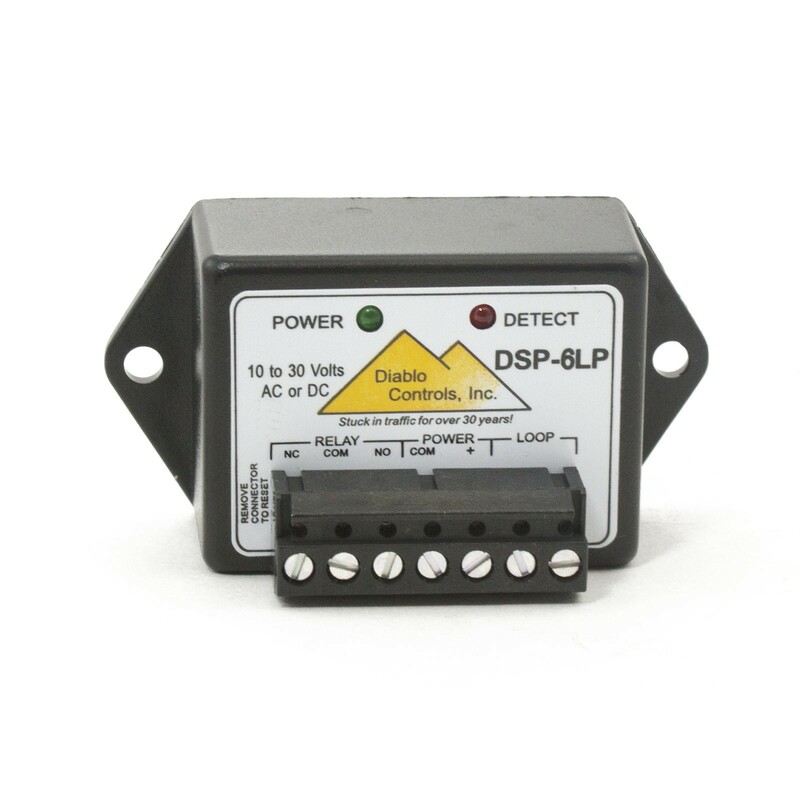 The DSP-6LP vehicle detector is designed for solar powered gate applications. This detector will operate on any voltage from 10 to 30 Volts AC or DC and draws approximately 1 milliampere while waiting for a car. The power LED winks continuously once per second to indicate the detector is operating in the low power mode. The DSP-6LP detector beats all competition for reliability, simplicity, and “no car" current consumption. This series of Diablo’s detectors are covered by United States patent number US 7,132,959 “Non-Interfering Vehicle Detection". 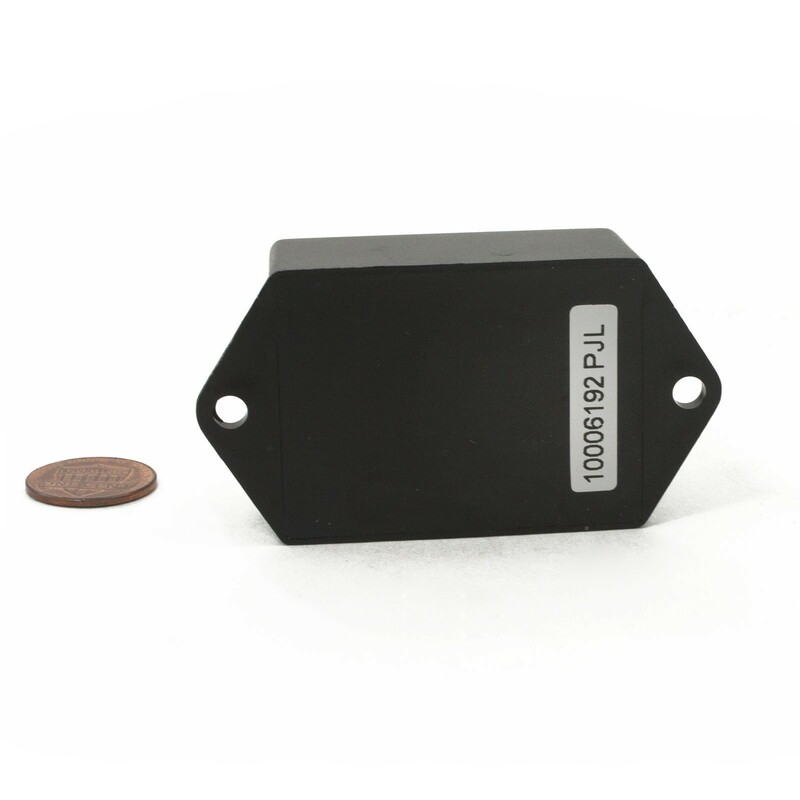 These detectors are virtually crosstalk free in most applications. Working on battery-powered and other parking and access control loop applications, the DSP-6LP is preset to the normal sensitivity level used in parking/access control applications, and tunes itself to the best operating frequency. This micro-sized detector will automatically adjust its sensitivity level when used on different sized loops. Environmental conditions are constantly compensated with the DSP-6LP’s HYPERTRACK software. Loop Size: Works on any in-ground inductive loop from 20 to 1200 mH. Indicators: Separate Power and Detect LED’s. The green Power LED will wink continuously once per second under normal operation. The red Detect LED will turn on solid for a vehicle. Sensitivity: Automatic - compensates for large loops and large lead-ins. Resistive: The relay common, NO, and NC contacts are available. 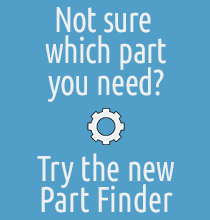 Ordering Information: DSP-6LP standard version. Power: 10 to 30 Volts AC or DC. Approximately 1 mA (no car and all loop sizes) and less than 25 mA with a car on the loop.